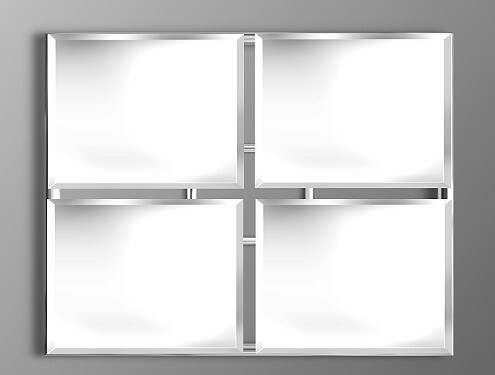 Quatro rectangular frameless mirror. A brand new addition to our range. This medium sized contemporary mirror is a frameless bevelled four panel mirror. 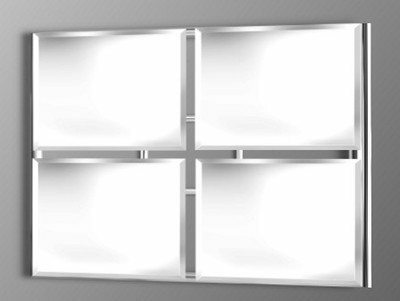 The panels are mounted on top of two chrome effect frames, the outer frame is flush with the outer edges of the bevelled mirror panels, with a gap between each inner edge of the four panels to expose the chrome effect frame. This design is made in our own workshop and is available in other sizes.